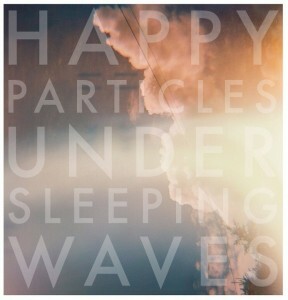 There's no doubt that "Under Sleeping Waves" is an amateur blogger's dream of a record. Every adjective you've been saving up all year can be dusted off and applied liberally - you can call it crystalline, brittle, even perhaps glacial in places. I'm as guilty as anyone of trotting out these ethereal-sounding superlatives when faced with music I love, but this is genuinely a record it's hard to describe in other terms. In part that's down to Robin Sutherland's spacious and sensitive production, which allows this music room to breathe and grow naturally so the tendency towards the clichéd post-rock quiet/loud/quiet dynamic is resisted. That's not to say this isn't a record of extremes in many ways, particularly Steven Kane's sometimes whisper-like and sometimes soaring falsetto vocal which forms the centrepiece for opening track "Aerials". Drifting in with minimal instrumentation, the voice does almost all of the work here and strangely blurs the lines between the mighty Sigur Rós and "Sophtware Slump"-era Grandaddy. The gentlest of reverberating drones, a hint of sorrow in the simple lyrics. As the song ends on a deliciously gloomy, sudden minor note it's clear this is going to be pretty special. Raising the pace with an insistent, snaking bassline is "Infinite Jet". This song has been doing the rounds in various demo versions for a while, and while I'm familiar with it in principle, it has never quite sounded this good. A tangle of clean, melodic guitar lines, an ecclesiastical organ sound, and those pure vocals echoing high in the mix. Then, suddenly the whole song begins to slow to a heart-stoppingly soporific pace, almost like a clockwork toy winding down. It's a really strange effect, executed perfectly. "Slowness" thunders in on dry, echoing drum beats before the bell-clear guitars set up a wintry chime. Here Kane's vocal is surrounded by a warming blanket of strings, as the song develops into a scaled-down symphony thanks to the quartet which adorn much of the record. The vocals take a back seat here, letting the strings and the clamour of guitars take the track spinning off to new heights. Things take a more straightforward path on "Offline Contact" which has hints of Mogwai in it's more traditional construction. Standing out here though are some delicate shimmers of guitar, which weave around Gordon Farquhar's solid drum pattern. The song slowly burns away, leaving just the string quartet which soars into the utterly wonderful "Reprise" - a brief interlude of dizzyingly technical playing which provides an introduction for the slow-moving "Come Home All Dead Ones" which picks up pace enough to include a curiously bright and optimistic guitar melody. Against the gentle backdrop of strings, this echoes insistently before ebbing quietly away. And if all this quiet, reflective brilliance is getting a little too much now, "Empty Circle" takes a slightly edgier turn. Starting with a cyclical melody and a stately beat, and visiting some familiar lyrical territory for the record in lines like "she wanted to sleep/in the comfort of sorrow", this is one track which does finally capitalise on the ever threat of explosion - but in true Happy Particles style it's controlled, technically brilliant and movingly epic when the guitars do finally crash into the foreground. Finally "AM Sky (Bleary)" arrives, another familiar tune from it's early demos. A deft guitar line duels with a glockenspiel, while Kane's vocals soar and dance around the minimal tune, reaching near impossible heights. 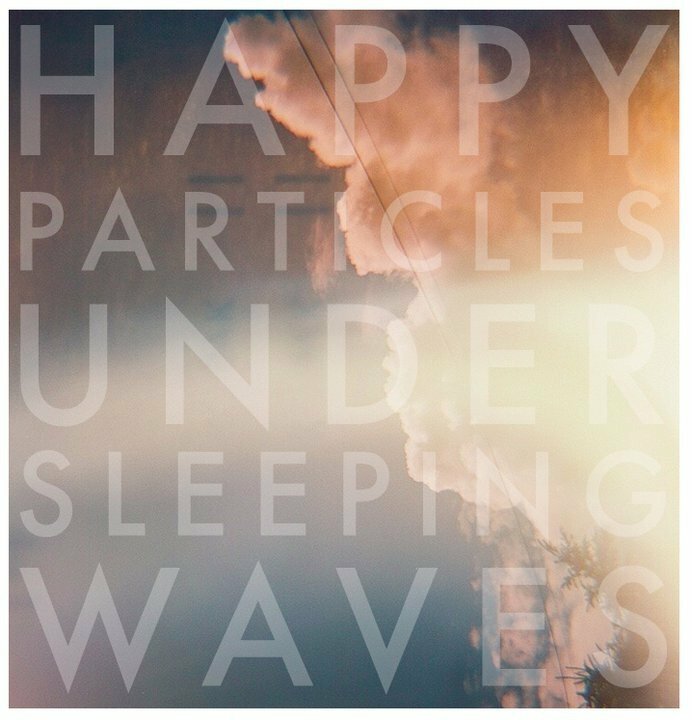 It's probably the most immediately accessible and the closest Happy Particles get to delivering a pop tune on "Under Sleeping Waves", but it's no less fantastic for that. A shimmering gem of a song which hasn't tired from repeated listens to its nascent form over the last year or so. Having read over what I've written above several times, I'm rather stuck here - wondering if I've done any kind of justice to the sublimely cool, almost Nordic beauty of this record? Equally, I've found myself wondering if my descriptions weren't just a little bit too adjective-laden, and whether I'd broken the very rules I set out at the start? Whatever, the simple bottom line is that this is a multifaceted, intricate and trance-inducing work which shines with a quiet confidence and an inner warmth which is very hard to describe. You need to go and listen to this unearthly, beguiling music to even begin to understand how tricky it is to write about. After all, things born on Christmas day have a historical tendency to go down in legend, and I suspect "Under Sleeping Waves" will be no different in that respect. You can purchase "Under Sleeping Waves" from Bandcamp from 25th December.